Take care, and have a happy (and safe) new year! Not only is Mega Man: Official Complete Works chock-full of artwork, it's also filled to the brim with commentary from MM creators, too. Both enlightening and entertaining, their words offer a look inside the development of numerous games, characters and concepts; stuff that would make for good trivia. After the break, I've compiled a small sampling of some of the more interesting comments the staff had to offer. For the rest of the lot, you'll have to buy the book for yourselves! Anyone else feeling a bit jealous? Thanks to Devan for the tip. Volume 1 received a small price drop over this holiday season, marked down from $13 to $10.36. The book is still on-track for a March 29, 2010 release, but with UDON, you never know. Meanwhile, Amazon has opened up a pre-order page for the second, and final volume in the series. Volume 2 is looking to release five months after its predecessor, slated to release July14th. A bit of a wait, but I'm sure UDON's other upcoming Mega Man books will keep you busy 'till then. Rumor - Star Colosseum Headed To DSiWare? 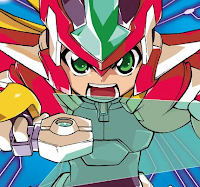 A supposed inside source brings word that Capcom, in lieu of releasing Rockman EXE Operate Shooting Star in the US, will simply port over the title's multiplayer mode, "Star Colosseum", to Nintendo's DSiWare service as a standalone downloadable game. 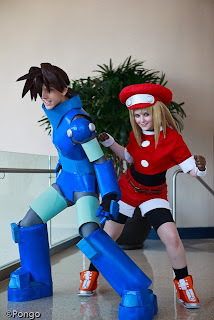 NP: Was there any feedback you received from fans on Mega Man 9 that was especially surprising? 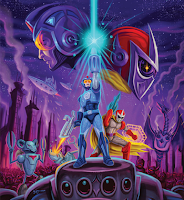 Inafune: It was a great, happy surprise for us that the NES style was so widely accepted. In the early stage of development, we internally discussed the option of having both old-school NES style graphics and next-gen style, [and we'd allow] the player to choose between the two. However, we believed that a revival of the NES style would surprise people and be appreciated. And the result exceeded our expectations -- so many people enthusiastically welcomed the NES style. The option of choosing between old-school and "modern" style graphics would have been a surefire way of appealing to all types of Mega Man fans. Too bad this concept didn't get off the ground. 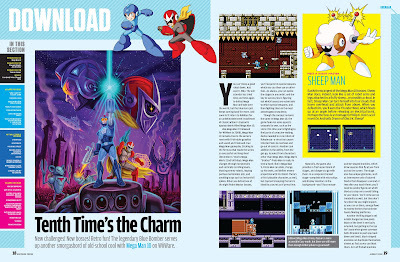 The full interview available in Nintendo Power issue #250, on sale wherever magazines are sold. Hope all of you had a great Christmas Eve, and have an even better Christmas! 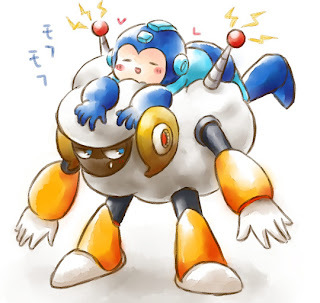 If at some point you're feeling a bit bored on this very fine day, feel free to check out a few winter/icey themed Mega Man cartoons after the break! Both shirts cost $19.99, and can be purchased from Hot Topic's online store here and here. According to readers Jeff and Erica, Hot Topic are also offering the shirts in-store, so if you don't feel like ordering online, you could hop on over to your local HT and grab them there. 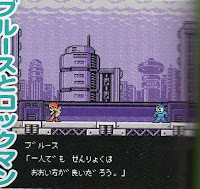 Here you go, some Mega Man Rush Marine footage. The mobile phone game released earlier this month, but we really haven't seen much of it in action...until now. So...whaddaya think? Me? Well, it seems a bit bland on all fronts. Disappointing, to say the least. 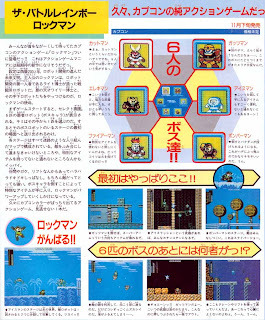 Your Weekly Famicom has unearthed what is quite possibly the very first look Japanese gamers got of Rockman: a magazine article from Famitsu's October 1987 issue. 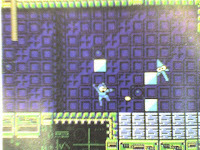 In addition to providing old screenshots and info, this early look at the original Rockman revealed that the game once had a longer title: The Battle Rainbow Rockman. As odd as it may sound, the title is quite appropriate once you consider Rockman's trademark ability of changing color when using a special weapon. 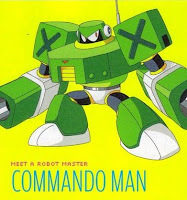 After all, Capcom once considered naming the character "Rainbow Man", but due to copyright conflicts with the Toho Co.'s television superhero Rainbowman, the name didn't stick for too long, and Capcom eventually settled on "Rockman." For a better look at the above scan, and an English translated version, head on down to Your Weekly Famicom. The guise provides no additional abilities for the power-up, it's merely a skin swap, but a neat one nonetheless. You can grab the texture for yourself at FPSbanana. Like what you hear? Grab the mp3 here! A playable build of Mega Man 10 will be featured at the Japanese World Hobby Fair on January 17th, according to Capcom. Announced during the Mega Man 22nd anniversary live webcast, the demo will mark the first time MM10 will be playable to the public. Only the WiiWare version will be on-hand. The World Hobby Fair will also play host to the first Operate Shooting Star tournament, the "Survival Netbattle NEO." Participants will be awarded with two secret Battlechips, Forte F and Burai B, and receive an exclusive OSS notebook. 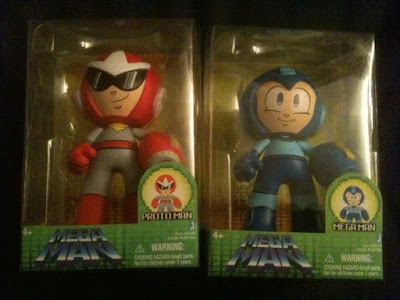 Mega Man and Proto Man vinyls are already available at some retailers, but no sign of these two just yet. Matt Moylan, Managing Editor of Udon Entertainment, sends word that both Mega Man and Mega Man X Official Complete Works art books have shipped to comic book retailers, and will be available Wednesday, December 23rd! As for regular bookstores and online vendors like Amazon, the release date is less precise; could be a few days earlier or a few days later, but comic book shops will have them in stock Wednesday. As a special treat, Matt was also kind enough to pass along a handful of sample pages from both art books. Hit the jump to have a gander! Rockman Perfect Memories has whipped up a sample Mega Man 10 soundtrack. 5 tracks in all, the unofficial compilation contains music rips from various MM10 resources like gameplay videos, and the English homepage. Download it here! 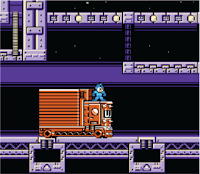 More Mega Man 10 videos available here! 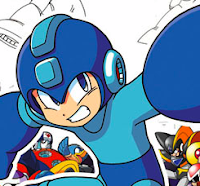 UPDATE: The English Mega Man 10 website has gone live. There, you can see even more screenshots, and view an English version of the above trailer. Direct link here. 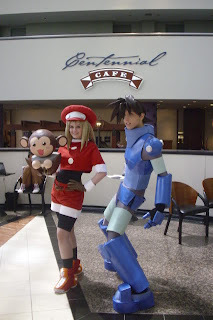 - Inafune says moving into 3d once again would be tough, because 2d and 3d Mega Man fans would have different expectations, and there are some elements of Mega Man in the 2d realm that just wouldn't translate to 3d. 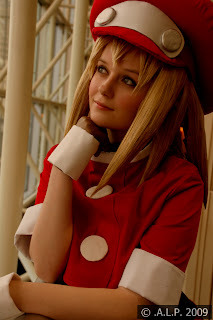 - Inafune would love to make a new entry in the X series, but he says he happens to be very busy. 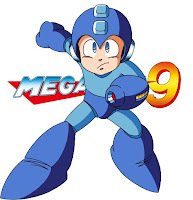 Before X9 were to happen, Inafune would like to do something completely different with Mega Man. - Inafune says 8-bit is where Mega Man was born, and he hasn't done everything he wants to with 8-bit Mega Man. 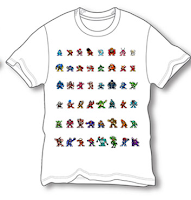 As far as a Mega Man series entry that is 16-bit in style, he'll have to see where the series leads him. - Inafune likes the idea of a Mega Man game with hand-drawn graphics (Muramasa), but he doesn't want to just imitate that idea. 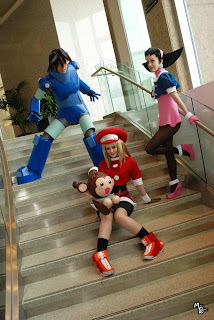 - Inafune says Mega Man Powered Up 2 has a strong possibility of happening. UPDATE: Download an Audio Podcast of the Live Webcast here. 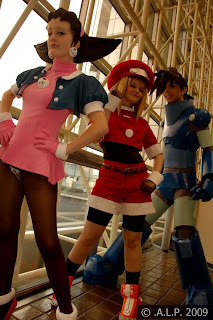 Props to the Rockman Perfect Memories crew! The live celebration begins tonight at 9PM PST! 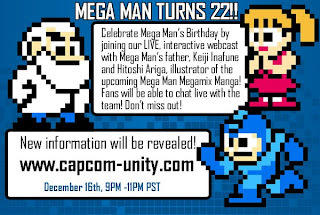 Keiji Inafune, Hitoshi Ariga and Hironobu Takeshita will be answering your questions, and might even reveal a few surprises. The show will be embedded below, but if you're unable to view it, you'll have to watch it directly from Stickam's main page. UPDATE: Unable to stream it here, please go to SticKam's main page to watch! The top left image shows off the new fire-based stage, said to contain conveyor belts that push you down, lava pits, and enemies that duplicate themselves. Top right, the computer-themed stage. 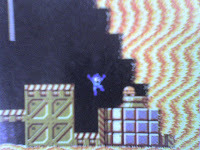 Mega Man faces off against the new mouse-pointer enemy who draws boxes and uses them as projectiles. Bottom left, the desert-themed stage. Sandstorms make this stage a pain as they obscure your vision and push you into unseen spikes and traps. The final screen, bottom right, the sewer stage features new slug-like Mets (not pictured). Full Nintendo Power summary available here. The preview also touts a couple new screenshots, and reveals the Japanese subtitle for the game: "Rockman 10: Threat From Outer Space!!" 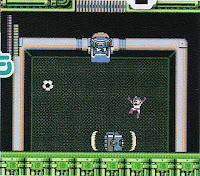 Based on the dialogue, we can conclude the Roll does indeed succumb to Robotenza, and Mega Man seeks help from Dr. Wily and Proto Man. 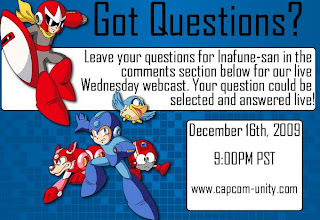 Drop your questions at Capcom-Unity, and tune in tomorrow night for the live web cast! You might get an answer or two! Amidst the group are three as of yet released games on the service outside of Japan (DASH, DASH2, RR). Irregular Hunter X (Maverick Hunter X) was added to the North American PS Store not too long ago. Needless to say, the three would be welcome additions to the North American and European stores. According to product descriptions, two more vinyls are on they way: Elec Man and Cut Man. They aren't in stock yet, but I imagine they aren't too far off from a release. 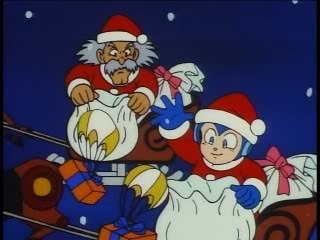 In any case, these guys seem like great figures for fans of Mega and Proto, definitely stocking stuffer worthy! Thanks to reader Lenny for the heads up. 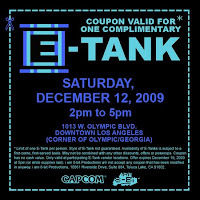 The event was held yesterday in LA, and with a single ticket, visitors received one complimentary E-Tank energy drink. Missed out on the event? Fret not: the beverage is currently for sale at a number of online vendors like Amazon and Big Bad Toystore. 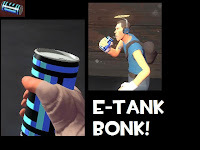 UPDATE: More photos and videos of the E-Tank mobile here! 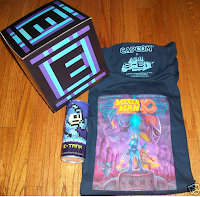 The shirt, and E-Tank beverage, were given away to members of the press for Spike TV's Video Game Awards. As seen on Siliconera. Thanks for the tip, Jordan. The whole package can be yours for $99, free shipping. Check out the auction(s) here. 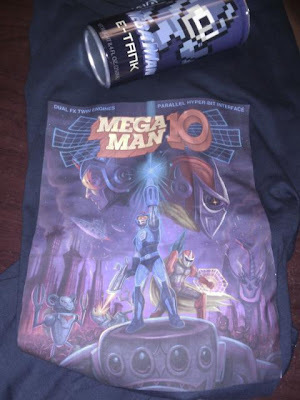 Apparently, that Nintendo Power issue is out, and with it comes a plethora of new Mega Man 10 info including the unveiling of a new Robot Master, Commando Man, and more importantly, a release date! - Expect a new ice-themed boss who dominates a glacier stage. It’s filled with snowmen with exploding heads and ice blocks which break if shot or touched. - A sewer stage is home to new slug-like Metools. 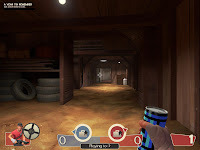 - A stadium stage contains sports-themed foes like baseball throwing robots, and a soccer goalie mid-boss. - a desert stage acts as one of the more difficult areas as sandstorms obscure your vision. 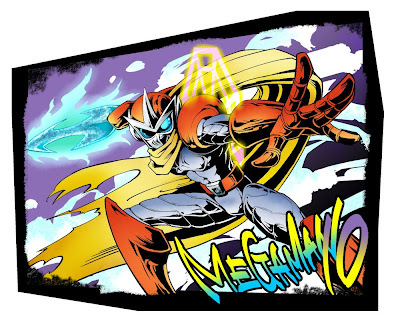 - The famous Yashichi item returns, and refills Mega's life and weapon energy completely. - The shop returns from MM9. 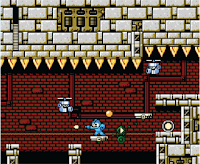 - MM10 features difficulty settings: Easy mode is said to make the game’s difficulty more "in line with Mega Man 2", while hard mode is there for who want a real challenge. - The game will contain multiple modes, achievements, challenges, leader boards, and downloadable content. 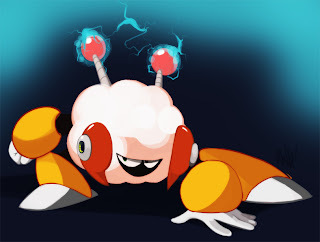 - Unfortunately, there won't be a female Robot Master this time around. 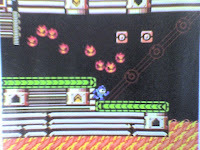 - MM10 is looking to release some time in March 2010. The drink will be available in limited quantities, so it's a "first come, first served basis." See the rest after the break. - play as Proto Man right from the start. - third playable character yet to be revealed. UPDATE 2: Capcom confirms it. Reader SeiferA sent in this rumor a few days back, but I held off from posting. 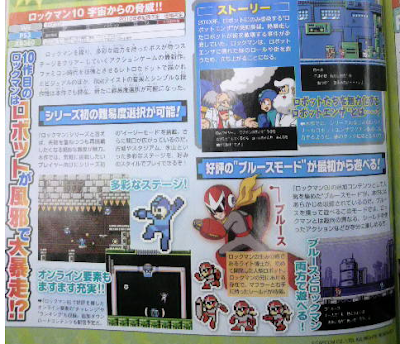 Basically, it was a collection of rumored info on Mega Man 10. The post itself is dated from November 21st. When I first read through, I thought the information to be a little too detailed to be spot-on, so I held onto it. Imagine my surprise when Nintendo Power confirmed the game today. Below I've posted the info, word-for-word. As you can see, there is plenty of information that was 100% correct. There's also some other information that hasn't been revealed yet. It may be mentioned in the full Nintendo Power issue, or Capcom might be holding onto it a bit longer. Of course, it could be fake as well. With that said, I feel that I have to share it with you, since the majority of the info turned out to be the real deal. It will be WiiWare and keep the 8-bit style. 360 and PS3 seems likely, but I was only outright told WiiWare. There will be DLC to play as Bass. His gameplay will be based on how he played in Mega Man & Bass. The ’story’ is basically as such: Robots get a virus that makes them sick. 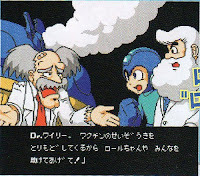 Roll catches it, Mega Man has to get Wily’s help to find a cure (Wily claims he has nothing to do with it, but… yeah), and the 8 bosses each hold part of the cure. And here is the biggy… it will be two players. No idea if story mode will be two people, or if there will be some specialized two player mode though. And oh yes… it’s far enough along that it is already being translated into English. Make of this what you will. Full story at GoNintendo. More updates as soon as they come in. I'll be keeping you posted! 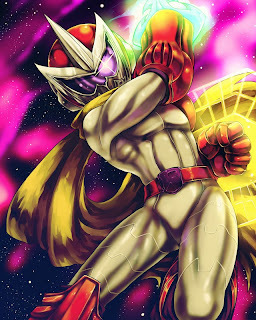 Tatsunoko vs. Capcom director Hidetoshi Ishizawa provided some new videos of Zero today, showing off some pretty neat stunts you can pull off with the red crusader. 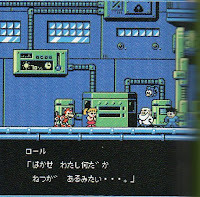 I expect we'll see even more footage of the Zero as we move closer to TvC's release date, January 26th, 2010. I can hardly wait! Having called the major outlets in my area, TRU seems to be the only retail chain carrying them at the moment (Oddly enough, they aren't even available online). Toys R Us exclusives, perhaps? 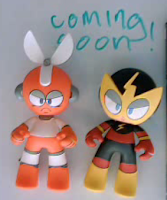 As for the other urban vinyls, Elec Man and the rumored Ice Man figure, they have yet to be seen, unfortunately. 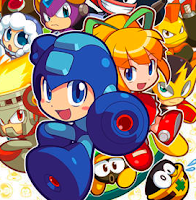 LOS ANGELES – December 7, 2009 – Capcom®, a leading worldwide developer and publisher of video games, today released Mega Man®: Rush Marine, an original Mega Man adventure designed for the mobile platform. 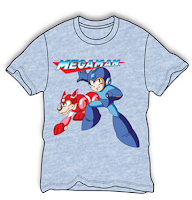 In this side-scrolling shooter set in the deep blue sea, players take control of Mega Man and his shape-shifting robot dog, Rush, as they attempt to stop Dr. Wily and his robot minions from destroying the seabed. Fight your way through expansive levels teeming with 14 enemies and numerous hazards. Explore three aquatic environments including Shallow Water, Volcanic Reef and Deep Water. 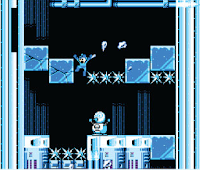 Battle through ten levels and defeat as many robot masters, each with a unique weapon that you can capture and use for good. Hopefully, a wider release means we'll learn more about the game. I don't know about you, but I'm just itching for some footage! 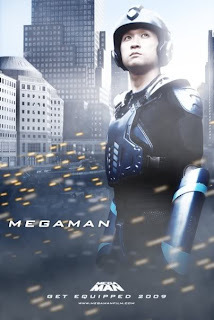 After a little delay, director Eddie Lebron returns with a couple updates regarding the status of his upcoming live action Mega Man fan-film. According to Eddie, in approx., four weeks, the current rough cut of the film will be screened for a test audience at MAGFest, a video game and music convention in Virginia. MAGFest attendees are more than welcome to preview the film, and should reception be positive, the film will be complete and ready for release! In related news, Eddie announced a collaboration with fellow student Andrew Decrescenzo to produce a Mega Man comic based off of the film. Planned to release sometime before the premiere, the comic will chronicle the events leading up to the film, focusing in on the histories of Dr. Light and Dr. Wily. Sounds exciting! Check out Eddie Lebron's official blog for future updates. Where'd The Nickname 'Blue Bomber' Come From Anyway? Rock 'Em Sock 'Em Robots. 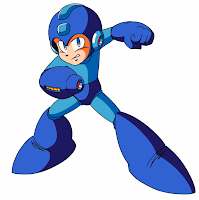 Though never officially stated, Mega Man's nickname, the "Blue Bomber", likely stemmed from the ever-popular game from Mattel toys. 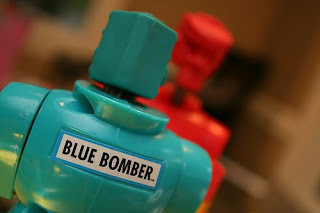 More specifically, the red robot's opponent - The Blue Bomber. Now that we've got the possible origin of the name, who popularized it? 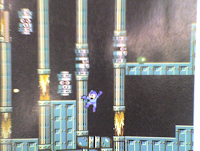 According to TVtropes, the nickname made its debut in the seventh issue of Nintendo Power wherein Mega Man 2 was the cover story. 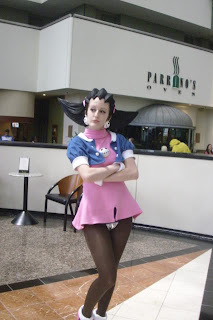 After that, the title made its way around the fanbase and, sure enough, Capcom eventually recognized it as the character's official nickname, going so far as to include it in commercials, and even within some of the more recent games like Mega Man 9 and Star Force 2 (MM9 had an achievement named after it, and dialogue in SF2 references the title). Pretty cool bit of trivia, wouldn't you say? 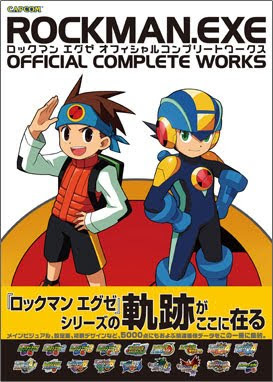 Capcom Japan's online store E-Capcom has unveiled the cover art for the upcoming Rockman EXE Official Complete Works art book, which is slated to release at the end of the month. The book, retailing for approx. $36.00, is chock full of official and conceptual EXE series artwork spanning across 174 pages. Import shops like Play-Asia are already accepting pre-orders, so fans who don't live in Japan will have the opportunity to enjoy what is likely to be a truly awesome book. 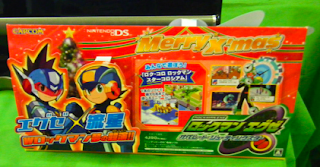 Supposedly, the card has an attached audio message from Rockman.EXE and Shooting Rockman wishing the buyer a merry Christmas. Unfortunately, it's an in-store promo only, so it won't be available online. 'Course, I imagine it will make its way to auction sites soon enough. As seen on GaiaOnline, and Hopei-chan's DevianArt. Submitted by FrankyD.